Back to "Abductor Digiti Minimi"
This image from Gray's anatomy shows the palmar muscles of the hand, including Abductor Digiti Minimi (ADM). 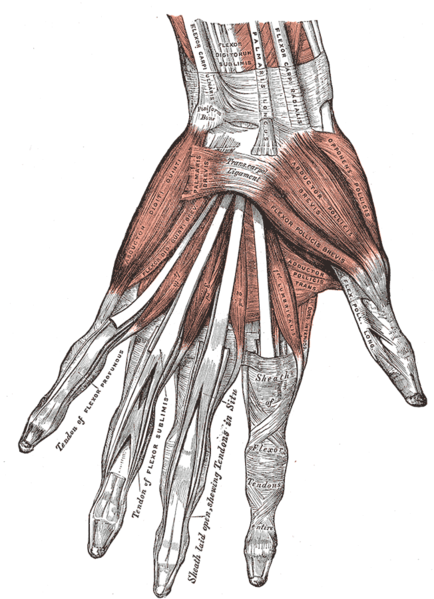 In this image of the palmar surface of a left hand, the abductor digiti minimi muscle is highlighted in red. Public Domain image courtesy of Wikimedia Commons.